Happy Memorial Day everyone! I am very thankful for all the men and women who have served our country and are currently serving our country. I am lucky to be married to a man serving now. Many have lost their lives while serving but if it wasn't for them who knows what freedoms we would have today. 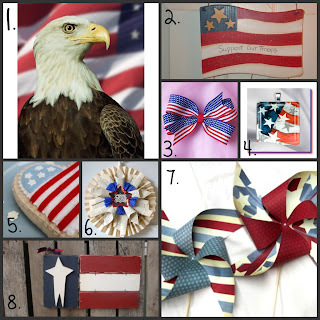 So in the Memorial Day spirit, today's Must Have Monday is full of patriotic items. Enjoy! awwww...you guys make such a cute couple......looks like a spectacular place...I loved the pics! Thanks! And it was awesome! I highly recommend it!